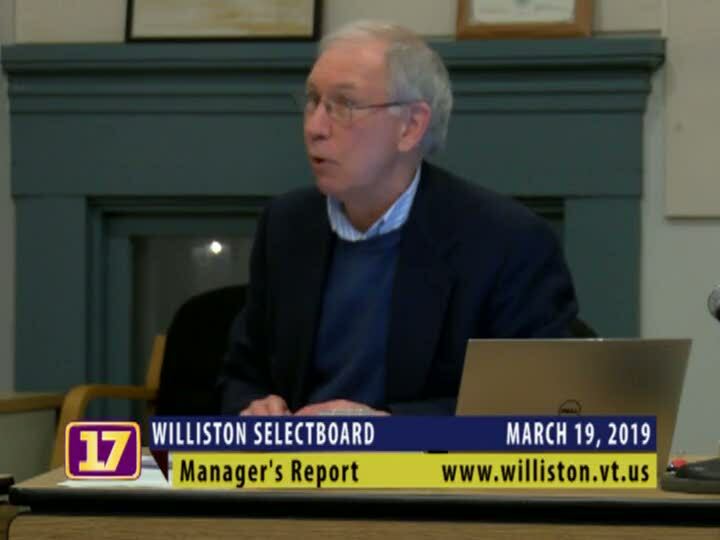 Town Manager's Report for the Williston Selectboard. The Selectboard meets the first and third Tuesday of each month at 7:00 P.M. at the Williston Town Hall. For more information visit www.Town.Williston.vt.us.